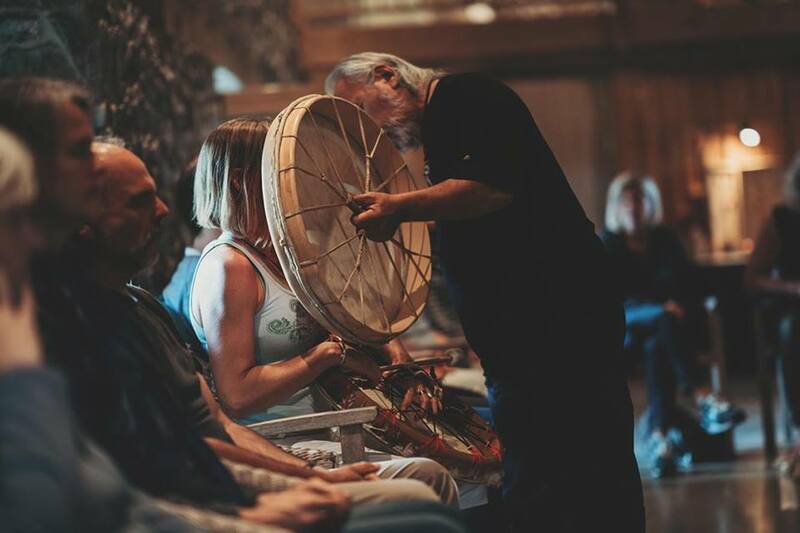 In Seminars and Workshops Angaangaq is introducing into his work as a shaman, traditional healer and medicine man. By his presence and his warm heart energy personal transformation happens. 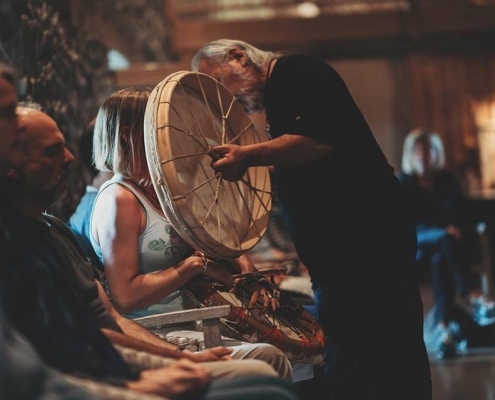 As he weaves the energy of the group through his stories and chants into a circle of strength, the ice in the heart of each participant begins to melt. We begin to see our world with different eyes, as our hearts open to the beauty within and around us and our awareness of ourselves and others expands. Workshops can take some hours or a day and can also be offered during a conference. Intensive -Seminars are lasting several days. Current Seminars and lectures with Angaangaq. Intensive-Seminars and Workshops are held in a circle – the circle is the spiritual foundation of the Greenlandic tradition.